This book is a must if you need to improve your poker math knowledge. It takes a very linear approach, slowly building upon previous concepts/math, until you are able to do advanced poker math with ease! If you feel your poker math could be stronger, this is a snap-buy. “Poker Math That Matters” has quickly become the best poker math ebook in today’s growing poker book market. Author Owen Gaines, or more commonly known as “Qtip”, has been playing poker professionally for more than 5 years and has created a very large library of videos for Stox Poker and Drag The Bar. Owen has recently taken to writing poker strategy books, and his most popular book is arguably “Poker Math That Matters”. 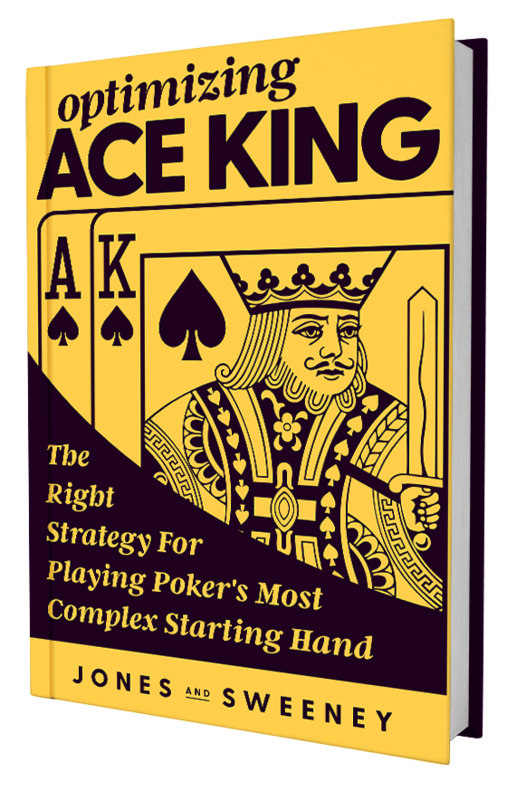 This book is over 200 pages and goes back and forth between poker theory and practice. Each section ends with a quiz (and has answers at the end of the book) to give you a chance to practice whatever material was just covered. In my opinion, this is the best way to really learn poker. Read about it, learn about it, and then put it to use to really ensure everything stuck. And this book really covers everything related to poker math. Everything from G-bucks to poker combos, to basic equity and complex EV lines. Every poker play can stand to improve their math, and this book aims to do that in a very graspable and concise manner! There is no better time to start improving your poker math, which only helps improve other aspects of your poker strategy. And if you are interested in other poker books by Qtip, add this book to your basket and check out some of his other awesome material!